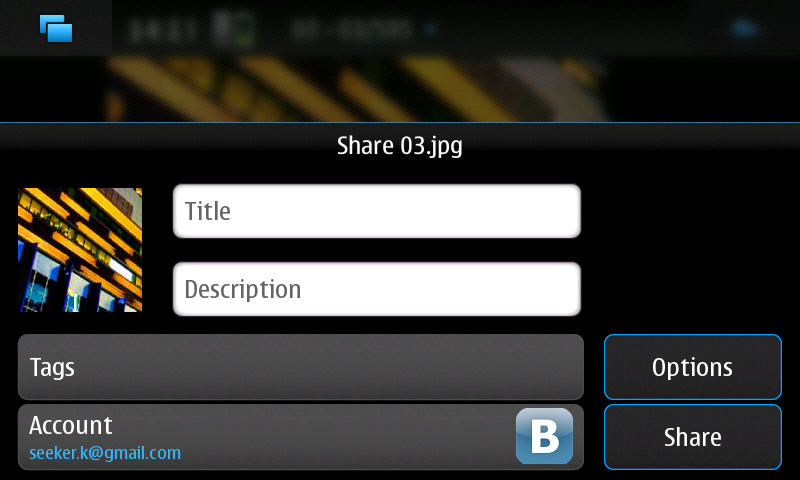 If you need to share an image press icon "Share" and then "Share via service" button. 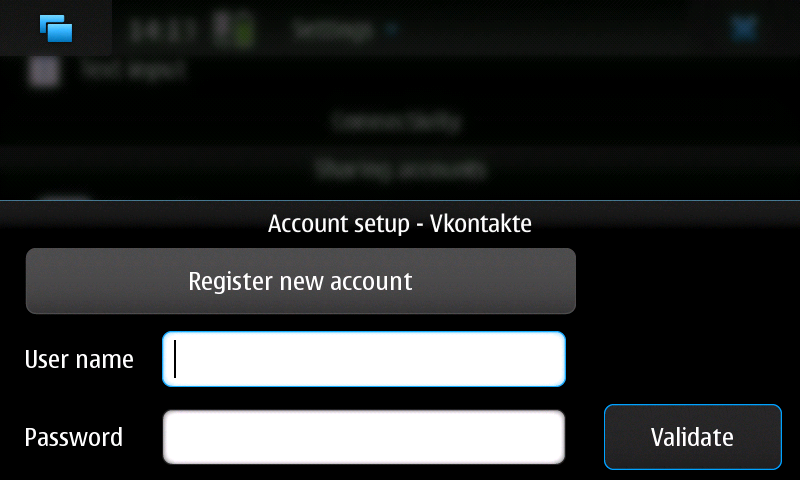 Then select registered account and press "Share" button. The image will be placed on "My Photo" album. The plugin uses User API (http://userapi.com) to connect VKontakte service. Unfortunately, it don't work with recently registered accounts. We are planned to pass to VKontakte API. On some accounts images was stored in album different from "My Photo". Current version doesn't support image title, description and tags. Also user can't select album. It will be implemented as soon as possible. The plugin doesn't process CAPTCHA messages. If server sent CAPTCHA then user get upload error. We are planned to implement CAPTCHA message processing.